Compulsive shopping is indeed a difficult habit to break. Although shopping does allow us to relieve stress and feel good after making a purchase, an uncontrollable addiction to this form of ‘therapy’ can be highly detrimental to both your social and financial situation. I’m sure you’re familiar with this scenario: You anxiously enter the mall with the intention of making a few purchases. You try on some clothes, and you wander from store to store making a couple of purchases here and there. It feels great to have your credit card swiped at the sales counter as you complete the purchase of a new set of spanking new clothes. You then wander around some more and make a few more purchases that make you feel comforted and happy with each completed transaction. You feel that shopping is a great way to improve your mood as you can’t wait to go home and check out all the new stuff that you bought. Alas, the feel-good emotion starts to fade eventually, as you realize that you’ve spent hundreds (or even thousands) of dollars on one single shopping trip. The guilt starts eating you inside as you begin to realize the size of the debts you’ve chalked up over the past month. 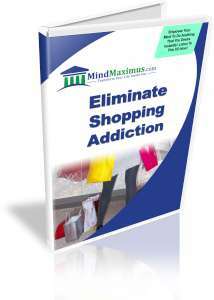 As with all addictions, compulsive shopping can quickly get you into serious trouble unless you do something about it immediately. Do you often feel guilty for spending too much money after each shopping trip? Are you buried in debt because of all the money spent on shopping? Are you constantly looking for shopping to easy the pain or feeling of emptiness inside? Have you often wished to get rid of your compulsion to shop excessively? 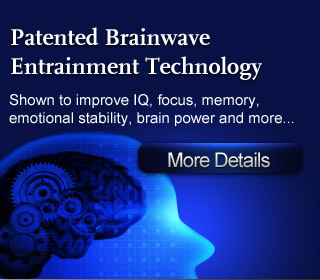 Now, thanks to advanced Brainwave technology, we are able to re-train our minds to diminish the associations of feeling good with excessive shopping. Once you don’t feel the urge for temporary relief through shopping, you’ll finally be free from the financial and social negative impact of having a shopping addiction! No reviews on E01 Eliminate Shopping Addiction so far.